When it come to website optimization we make sure that we optimize it fully. We're doing lot of hard work to increase website traffic, but sometimes we forget to use some inbuilt SEO friendly tools offered by blogger itself. Blogger developers team is working hard constantly to make blogger user friendly and SEO friendly and today we are going to discuss its one of the best feature called Custom Robots Header Tags. This tool plays a great role in improving search engine optimization of your blog and in this way you can gain more and more visitors from search engines like Google, Bing, Yahoo etc. This tool basically comes in Crawlers and Indexing in blogger. So name tells the whole story, this tool basically helps web crawlers to crawl and indexing certain part of your blog. 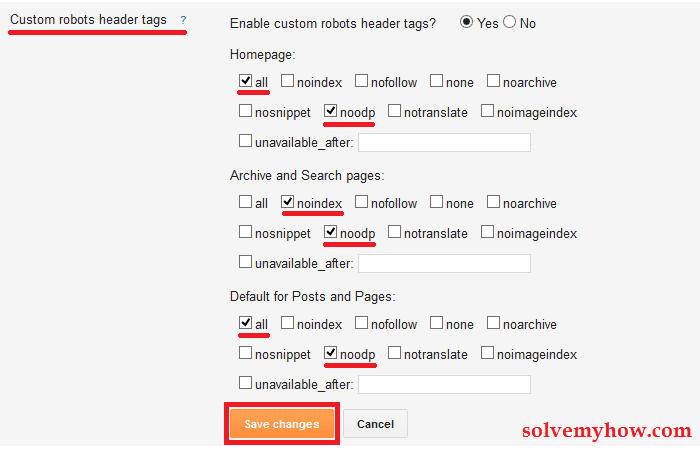 You can read more about custom robots header tags in Google forum. For now I'll keep this article upto the point. 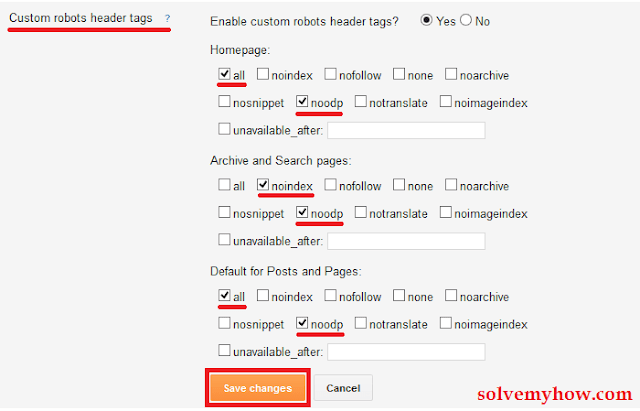 So, lets learn how to add custom robots header tags in blogger. Glad to help you and thanks for dropping by. and also install Google analytics property to see real time traffic. Thanks for tut. will this affect traffic ? increase traffic ? Shami Traffic always depends on your content, how you write and what you write. But yes this will definitely improve your SEO result. And yes you may start ranking higher in Google Search results. 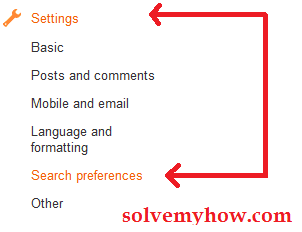 I recommend you to read SolveMyHow SEO guide to increase traffic. It is recommended to enable it.